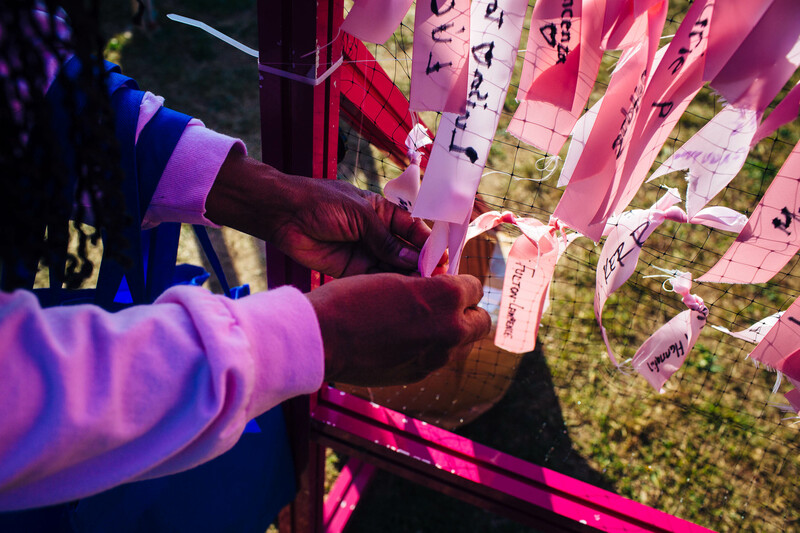 Valarie Williams ties a pink ribbon on a fence at a breast cancer walk in Jones Beach. She is a breast cancer survivor, and has been in remission for four years. Valarie lives in West Babylon with Antoine, her adopted son, and Jovanda, her foster daughter. Both are severely disabled.